When you use the computer for work and leisure, time usually flies by without you even noticing, which may lead to you to arrive late to a meeting or that you simply forget to put the TV on at time and you end up missing a program that you wanted to watch. To be able to avoid this, you can use NX Free Light Timer, a small free timer that is very easy to use. All you will have to do is open the program and establish the time after which you want it to notify you. 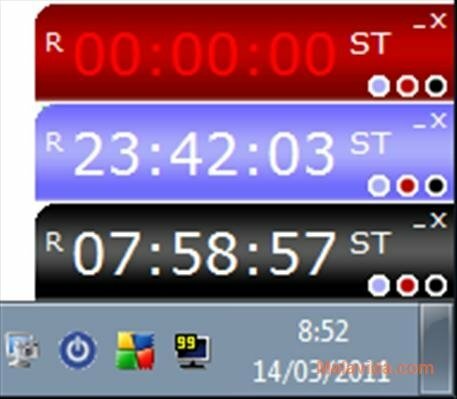 Furthermore, NX Free Light Timer offers you the possibility to be able to open more than one timer at the same time, thus it will be very easy to define different time periods after which you want to be notified. 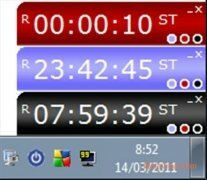 The different clocks have the possibility to be customize by means of different colored skins, with a total of three different colors. 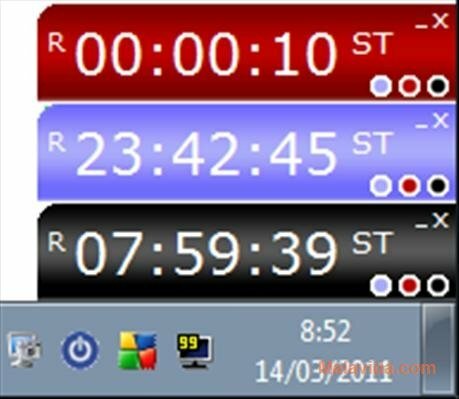 If you're searching for a way to remember important meetings or appointments without having to spend any money and without affecting your computer's performance, you can download NX Free Light Timer for free, it's the perfect solution.